WORLD HISTORY TIMELINE POSTER (2ft x 5ft tall) ***PLEASE NOTE: All current poster purchases will be mailed AFTER JULY 12, 2018. Thank you! 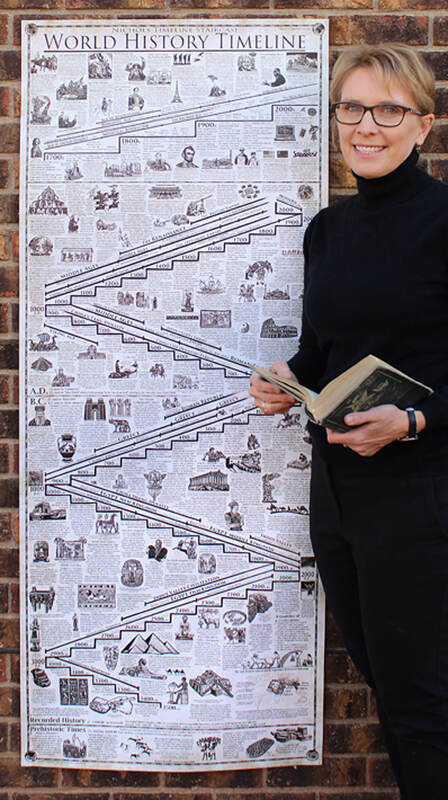 "I like it (the Art History Timeline Staircase) better than the other art history timelines I have. 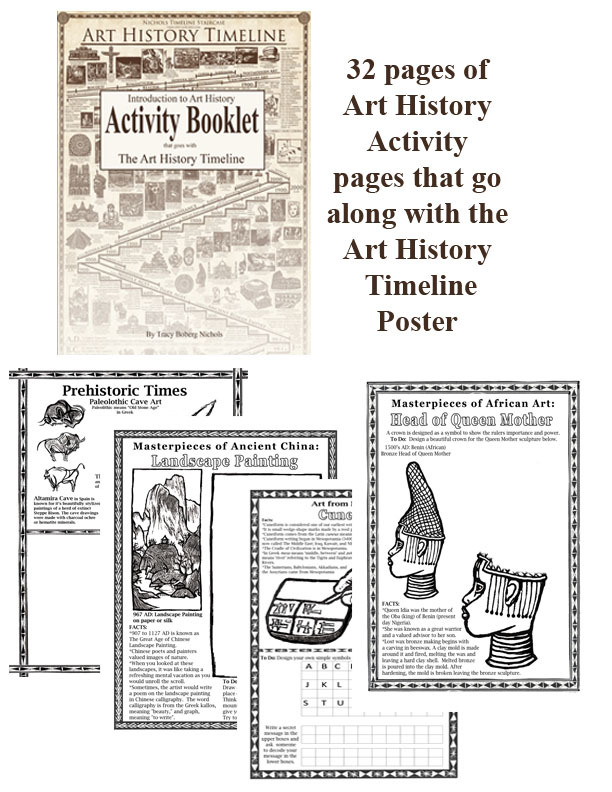 It has many more works of art on it than any other timeline I've seen, as well as major historical events and other important historical tidbits from each period. I like the layout; it is easy to understand and includes works from many cultures, not just Western art."-O.D. 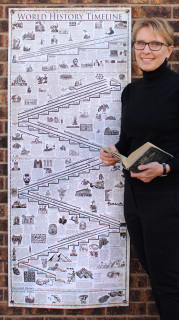 * ART HISTORY TIMELINE poster highlights what most scholars agree are the some of most significant masterpieces in art, architecture, and historical events from Prehistoric Times to the present. 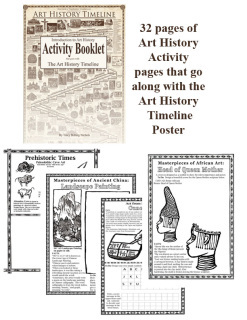 THE ART HISTORY TIMELINE poster is not only an educational tool but also a beautiful work of art for your home, classroom, studio, office, or library.